Hunt in Africa - Hunting in Africa! Your gateway to AFRICA TROPHY HUNTING! For many hunters an African Safari is the pinnacle of the sport. Tracking game in the African bush, stalking one of the Big Five, watching the African sunset and swapping tales with fellow hunters around a camp fire. Cape to Cairo Safari offer experienced and novice hunters world-class rifle and bow hunting on the “Fair-Chase” hunting method. Dangerous and Plains Game hunts of over 60 species are conducted across Namibia, South Africa, Tanzania, Zambia and Zimbabwe. Discover Africa’s irresistible beauty and inspirational nature while experiencing warm, friendly hospitality and reliable service. If Africa Trophy Hunting is on your bucket list - you are in good company! 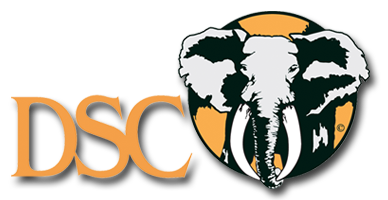 We operate a superior trophy hunting operation, specializing in custom safaris and offering you the opportunity to hunt top quality trophies. Cape to Cairo Safaris is a family owned company founded by South African born Cedric & Karin Nieuwoudt. We strive for service excellence, and nothing short of that will do! We believe in long-term friends and safari partners! VISIT US AT THESE FINE SHOWS!